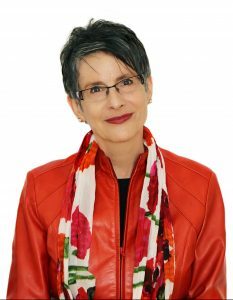 Diane Weber Bederman is an author, chaplain, journalist, blogger and speaker who is passionate about religion, ethics, politics, and mental health. She has been published in many media outlets including Huffington Post Canada, Times of Israel and Canada Free Press. She is a proud member of Leading Women for Shared Parenting (LW4SP). My book Back to the Ethic: Reclaiming Western Values, published by Mantua Books is available on Amazon. I am passionate in my views and my writing. I always endeavor to be ethical in my reporting, and fearless. Politics: The activities associated with the governance of a country or area, especially the debate between parties having power. I write about political issues around the world. We are a small world, now, more than ever. Social media brings us news as it happens in real time, and often with comments that have no basis in fact. Mainstream Media in a desire to compete with the speed of reporting, too often does not take the time to fact check. I do. Ethics is concerned with distinguishing between good and evil in the world, between right and wrong human actions, and between virtuous and non virtuous characteristics of people. The laws we make, the morals and values we hold dear come from the underlying ethical system. In democracies that system is the Judeo/Christian ethic that teaches us that all people are born with equal intrinsic value and that all life is sacred. Mental health: I have lived with mental illness most of my life. I wasn’t diagnosed until I was 49. I know from personal experience that mental illness is only a detour in life, not a dead end. There are many different therapies for mental illness, one of which is Spiritual Care. Religion, my love of its traditions, rituals, teachings, prayers and the opportunity for study was one of the more important pillars in my recovery. When I was so deeply depressed that I was suicidal, it was my belief in the teachings of my religion that kept me alive long enough for talk therapy and drug therapy to assist me in pulling myself out of the abyss. As a multi-faith endorsed chaplain, I was able to help some of my patients by praying with them and telling stories from the Bible that spoke to their fears. I helped them to see that they were not alone and there is hope. Visit my articles on mental health to learn more. Religion/Spirituality has a place in our individual lives and our society. The psycho-social and neurosciences teach the cold hard facts about behaviour; the stories in the Bible bring warmth to our understanding of the human condition. The rituals, symbols, traditions and prayers of religion provide a safe place for all of our emotions so that we can forgive, repent and redeem ourselves and find atonement for our mind, body and soul. Ethical monotheism provides morals and values that balance rights with responsibilities providing us with the opportunity to live a more compassionate life in a more compassionate society. You can access my published articles here.